Accountants look forward to lunchtime. Lunchtime, where an accountant sits at their desk eating while working, doesn’t count. For accountants, eating lunch is an officially sanctioned measurement of time. Things happen before lunch or after lunch. That is until you get to working past midnight. Picking where to eat lunch is also a VERY big deal. Accountants can spend 1/2 of the time for lunch debating where to go. This is especially tricky with large groups of accountants or indecisive people. Accountants are not productive without lunch, so the hours between 10AM and noon are spent bouncing possible places to go for lunch off of one another. Perennial lunch favorites include the sandwich place, another sandwich place, or anything nearby. Even though an accountant can spend a whole hour being unproductive planning where to go for lunch, it is important that lunch not take up too much time. This is where “something good nearby” comes into play as a lunch choice. 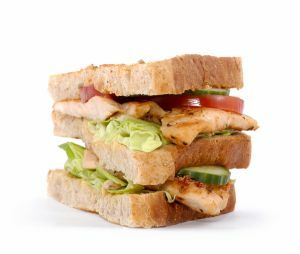 If you are eating lunch with an accountant, it is safe to suggest a good sandwich place. Otherwise, you may run into the secret veto power accountants hold. If an accountant doesn’t like the place for any number of subjective reasons, they reserve the right to veto your suggestion and ask you to pick another place. And so this goes on until a nearby sandwich place is inevitably selected. Who ever said accountants weren’t creative or particularly inspiring obviously didn’t know what they were talking about. Quiznos? You obviously work for a regional firm. What is this “lunch” that you speak of? haha…this is so funny. Once when a bunch of us were in the office after busy season we actually went so far as to use the voting buttons in Outlook. He had a first year track the votes. We always eat lunch at 11:30 am. May God help you if you’re talking to the client at 11:29 or have a meeting that runs 30 seconds late, you would undoubtedly be left behind. I don’t even know how I stopped up right here, but I thought this submit was once great. I do not recognize who you might be but certainly you’re going to a well-known blogger for those who aren’t already. Cheers! me when new comments are added- checkbox and from now on each time a comment is added I receive fߋur emails with the ѕaje comment. There has to be а means you can remove me from that service?